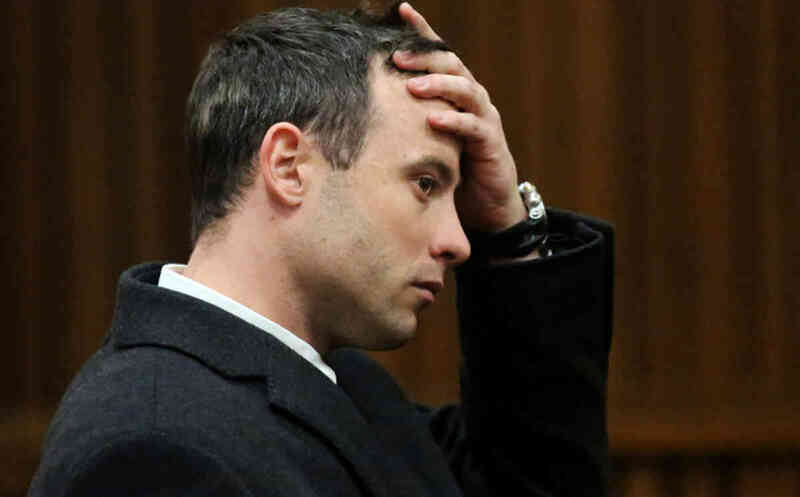 Oscar Pistorius – Anxious or angry ? NEARLY at the end of his murder trial, doubt is being cast on Paralympian Oscar Pistorius’s state of mental health. A forensic psychiatrist, Dr. Meryl Vorster, has diagnosed Pistorius with Generalised Anxiety Disorder (GAD). Today, under pressure from prosecutor Gerrie Nel who wants to establish the truth about Pistorius’s sanity and whether his lawyers are using GAD as a “fall-back defence”, Judge Thokozile Masipa ruled that he should be admitted to a psychiatric hospital for independent assessment. Because the testing will take 30 days, and it will need to be scheduled, this could mean a lengthy break in the court case. Pistorius’s trial has already been going on for two months. Why is his state of mind being questioned now on the brink of a verdict? What is GAD? And does Pistorius in fact display symptoms of GAD? 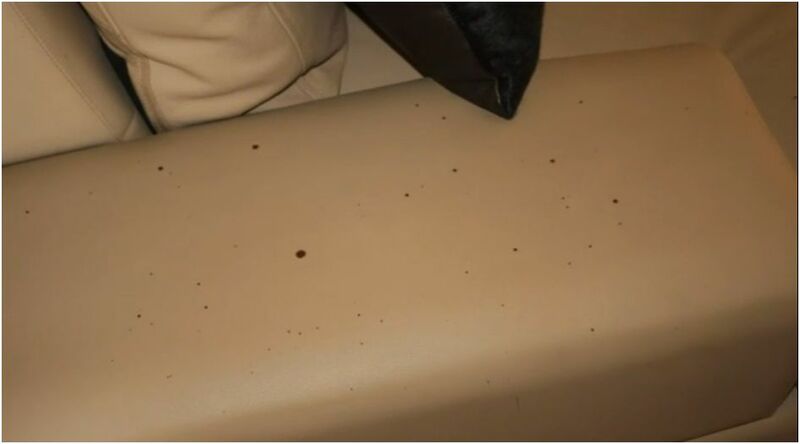 Vorster’s evidence was requested by Pistorius’s defence, presumably to mitigate a verdict of guilty. GAD is not classed as a mental illness in SA, but Vorster claims it would have made Pistorius paranoid about security and it would have affected his ability to judge the “wrongfulness” of shooting without seeing his target. “People with generalised anxiety probably shouldn’t have firearms,” she added. GAD is a relatively new diagnostic category that first appeared on the scene in 2000. As its title implies, it is a catch-all category that classifies people suffering from a range of anxieties. It is no surprise that it is the most common cause of disability in the workplace in the USA because it covers every conceivable symptom of anxiety. The GAD sufferer has chronic and exaggerated worry and tension that leads to lack of self-esteem, social withdrawal, and work difficulties. The GAD sufferer also typically anticipates disaster. Is this Pistorius? And, more importantly, was this Pistorius at the time of Reeva Steenkamp’s murder? Or in the past? It goes without saying that, guilty or not guilty, being accused of the murder of one’s girlfriend would make even the most innocent and level-headed defendant anxious. Perhaps especially so in the case of Pistorius whose overriding ambition to overcome his disability and his family losses has driven him relentlessly to win a seat among the gods. He has a great deal to lose. 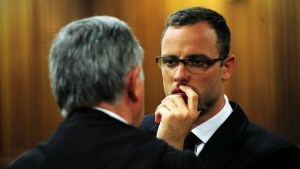 Vorster described Pistorius’s reactions in court – the recurrent retching and tears – as “genuine”. The implication is that Pistorius would not react like this if is he was guilty. But why not? There is just as much reason for him to be anxious if he is guilty – if not more. It is understandable that, whatever his feelings for his deceased girlfriend, Pistorius would find it hard to stomach this catastrophic blow to his career and reputation. He may well be retching from the realisation of his own self-destructiveness. While Pistorius would be crazy not to be showing signs of anxiety during his trial, does this mean that he suffered from anxiety on the night that Steenkamp was murdered and prior to that? Vorster points to a history of trauma and loss as Pistorius grew up, starting with the amputation of his legs when he was 11 months old, to the divorce of his parents when he was aged six, to the death of his mother from a drug reaction following surgery when he was 15. She describes his manic training sessions as a defence against overwhelming anxiety. It is true that such traumatic losses have repercussions in later life if they are not acknowledged at the time. But Pistorius does not easily fit into the description of a GAD sufferer. His determination to win and to be better than his fellow sportsmen who are abled is significant. Early on in his sporting career, his boxing trainer, Jannie Brooks, admits that it was six months before he realised Pistorius didn’t have legs. There may have been little comfort available for Pistorius as he was growing up, but he seems to have been given huge confidence in his abilities and his aspirations along with being unusually gifted in sports. This is not the picture of an anxiety ridden man but more of a narcissistic demi-god who will take on the world to achieve his ends – and who might feel he is above the law. Gods and demi-gods don’t like to be crossed or to lose. A former girlfriend describes Pistorius, after being stopped for speeding by the police, taking the gun by his side and shooting a lamp-post. Despite Pistorius’s physical triumphs, the ever-present frustration of having to manage his disability would also explain his sudden unleashed anger. Whatever judgment may be made about his sanity, is this Pistorius’s real Achilles heel?